Creating engaging visual content doesn’t have to require a financial investment. Sure, at one time graphic designers needed expensive software and even more costly images to craft a winning visual campaign. But thanks to a host of free online resources, anyone can design high-quality visual stories with ease. Of course, navigating the sea of online images and editing tools is easier said than done. Some require membership, others charge royalty fees, some require advance permission and others charge for high-definition. Fortunately, we’ve scoured the Web for the most complete, the easiest to use and the most innovative resources to aid even the most amateur designer in crafting stunning visual content. 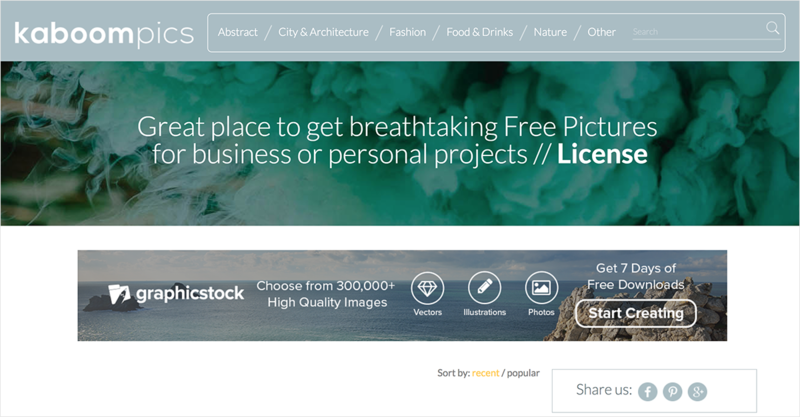 With a large selection of free high-definition stock photos, StockSnap.io offers a valuable resource to web designers, bloggers and content curators. It also includes a search feature and sorts collections by popularity. All photos are released under public domain, so no attributions are necessary. The free photos on Morguefile, contributed by a variety of artists, can be used in all sorts of creative projects. The site requires a quick registration and requests photographer credit when possible. 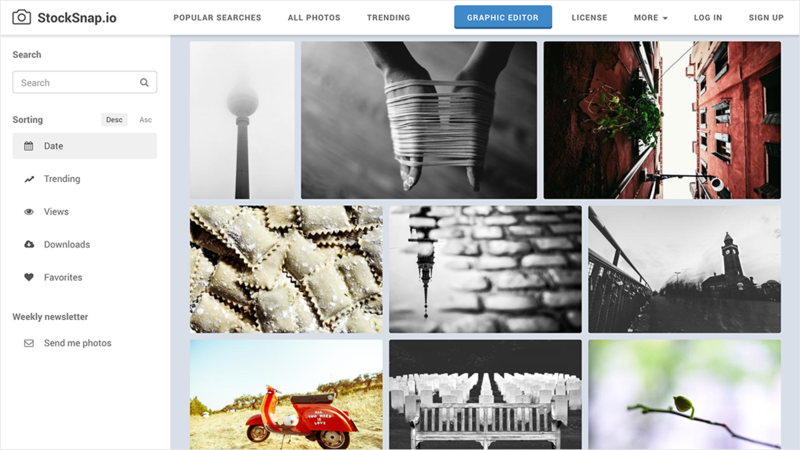 Free Images' gallery of more than 350,000 stock photos is categorized and searchable. Free signup is required, but the expansive selection of high-quality photos makes it worthwhile. 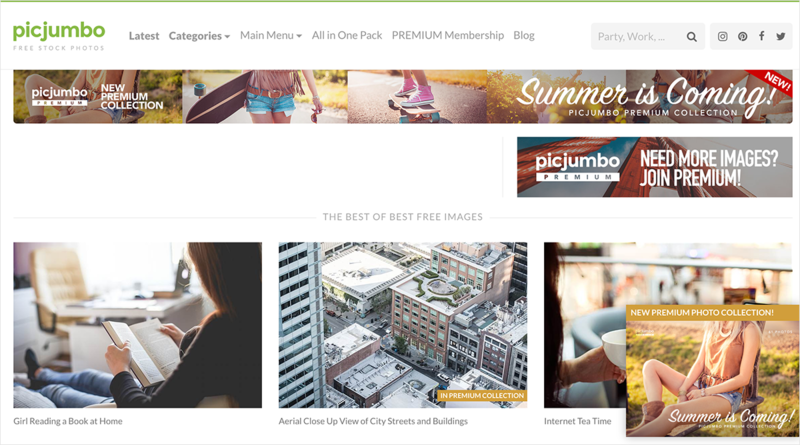 Full of free high-quality stock photos, Kaboompics features a wide variety of images, including everything from fashion and food to architecture and landscapes. Although photos can be used for commercial purposes, they cannot be sold or redistributed. 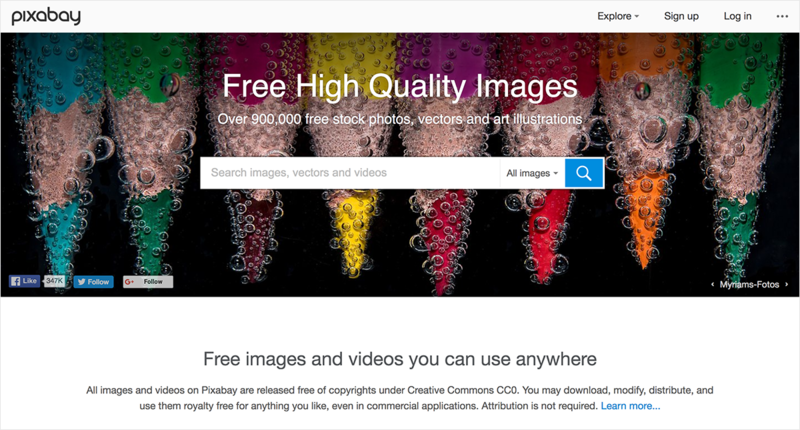 Pixabay offers not only a large collection of free stock photos, but also art illustrations and vectors, free from copyright restrictions. Attribution is not required. Membership isn't necessary but is available to those who wish to skip the Captcha each time. 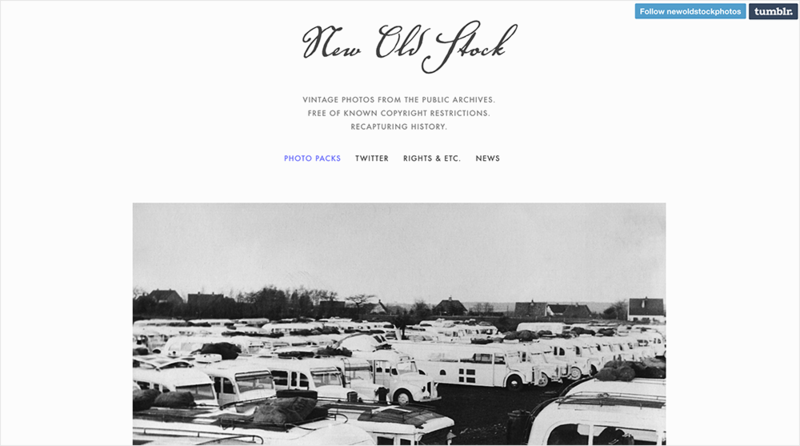 New Old Stock features a huge selection of vintage photos from public archives. All photos are free from copyright restrictions. 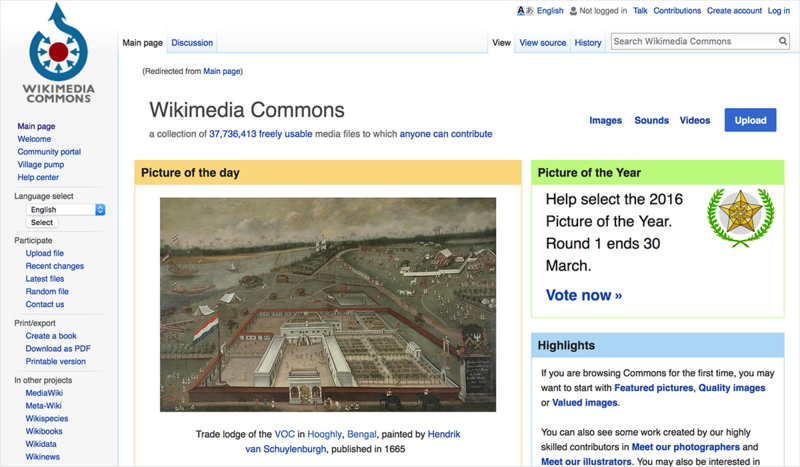 Wikimedia Commons' database of more than 21 million media files includes photos and other images from throughout history that are now in the public domain. Since anyone can contribute files, the site’s enormous library includes free images of everything under the sun. Visit Picjumbo to access a large, searchable selection of free high-resolution photos from a broad range of categories – everything from fashion and abstract to nature and technology. Photos are completely free to use, but attribution is requested. 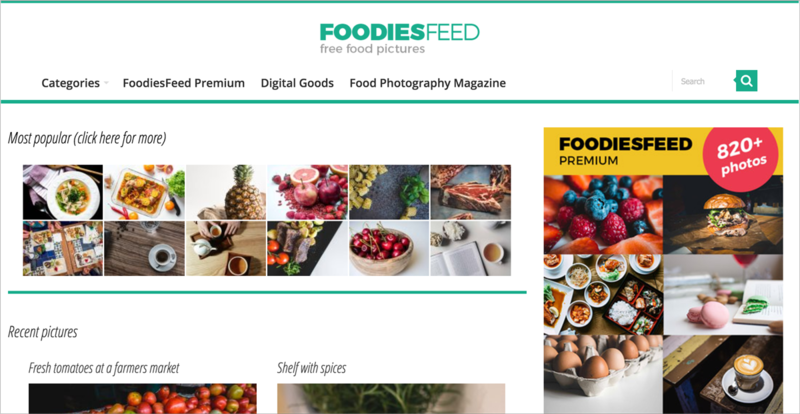 Food bloggers love the large selection of tantalizing photos they get for free from FoodiesFeed. The site features a large selection of high-definition food photos so realistic you can taste them. Donated by Leeroy, an advertising agency in Montreal, the high-resolution images found at Life of Pix are free of copyright restrictions as part of the public domain, so they can be used for any purpose. 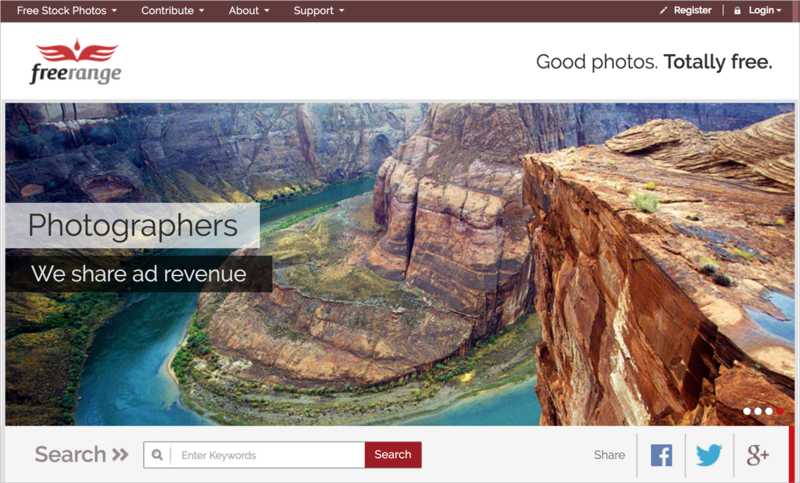 Gratisography offers free high-resolution photos for personal and commercial use. All images were taken by Bells Design’s Ryan McGuire and are free from copyright restrictions. 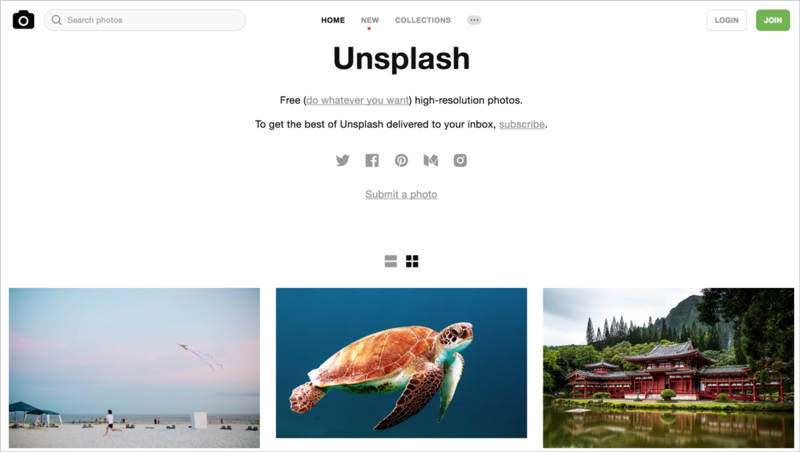 Unsplash's large collection of free high-resolution photos is a favorite among visual content creators of all sorts. All photos are released under public domain and require no attribution. Freestocks.org features a large selection of free stock photos, as well as a convenient search feature and categorical listings. All images are free for both personal and commercial use, without attribution. One of the best sources for free high-quality photos, Pexels features a library of more than 25,000 images. All photos are tagged, searchable and free for all legal use. At least 3,000 new photos are added each month. This collection of free photos is available without registration. The site offers several ways to search, and images are categorized thoroughly for easy browsing. 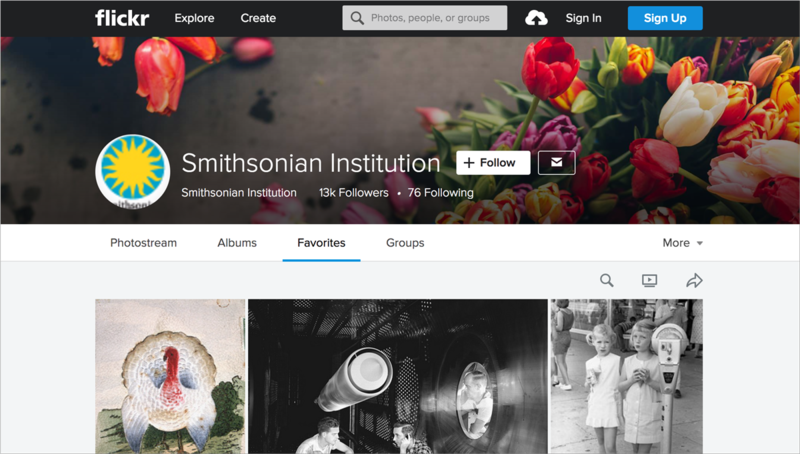 Check out this free resource for a collection of photos curated for commercial use. All photos are free to use, but some may require attribution. As the name implies, this free design resource features a variety of free photos from the public domain. Free registration to the site is required. 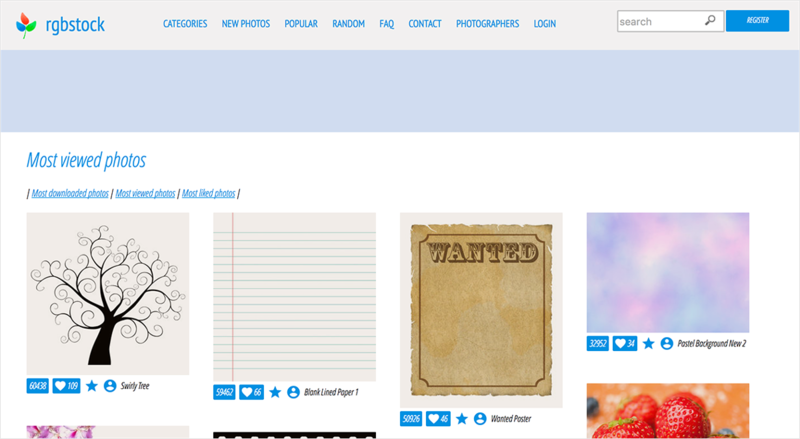 This site, created by photographers and graphic designers, features a broad array of free stock images. Registration is required but can be accomplished with a single click. If you’re looking for breathtaking photos of nature, Pickupimage is your source. Stock images can be used for personal and commercial purposes, and no registration is required. This gallery of images includes photos already formatted for visual content, including blogs, memes and marketing campaigns. The high-resolution images are free for commercial or personal use without the need for attribution. 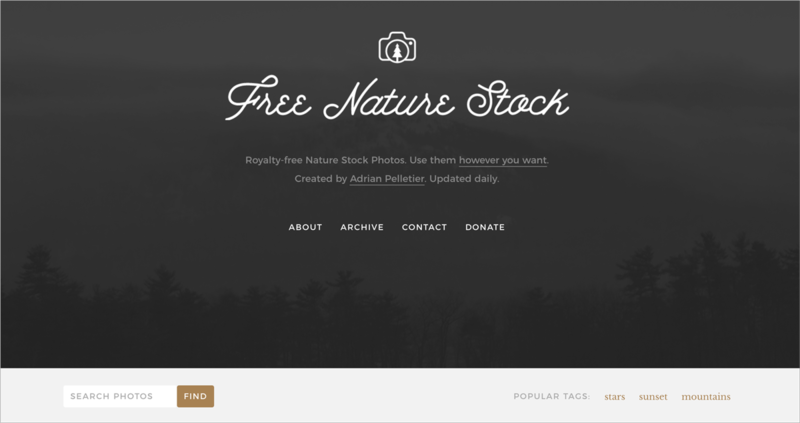 This search engine for free photos provides results from a variety of online sources, including Flickr and Wikimedia Commons. Membership is free, and the site allows users to easily identify an image’s license, usually requiring attribution. Color stories have never been more popular, and FindA.Photo allows users to search for high-resolution images by color. Most images are in the public domain, but be sure and double-check the licenses. Flickr is an amazing source for images, but licensing can be tricky since it varies so greatly between photos. 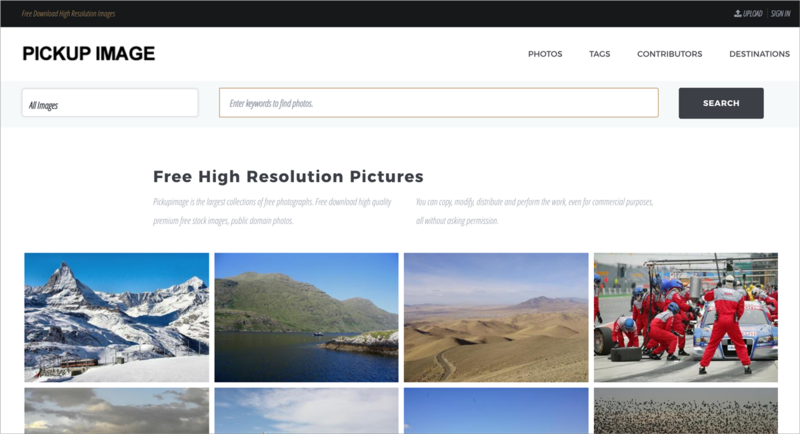 Foter offers a search tool that can help discover more than 200 million photos from Flickr and easily determine if they’re free to use commercially and if attribution is necessary. The free stock library from photographer Adrian Pelletier is searchable and the high-resolution images do not require attribution. 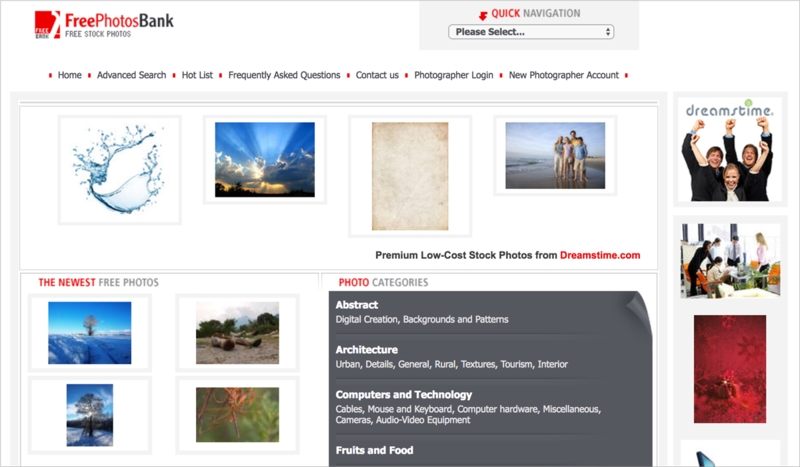 Access thousands of free high-definition images that are categorized and searchable. 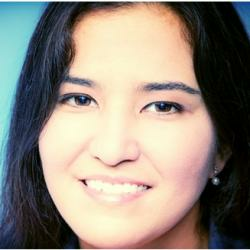 Photos can be used for personal or commercial use, but cannot be redistributed. A link to Free Range Stock is requested as photo credit and a free registration is required. The site features a decent-sized gallery of free photos from the public domain. 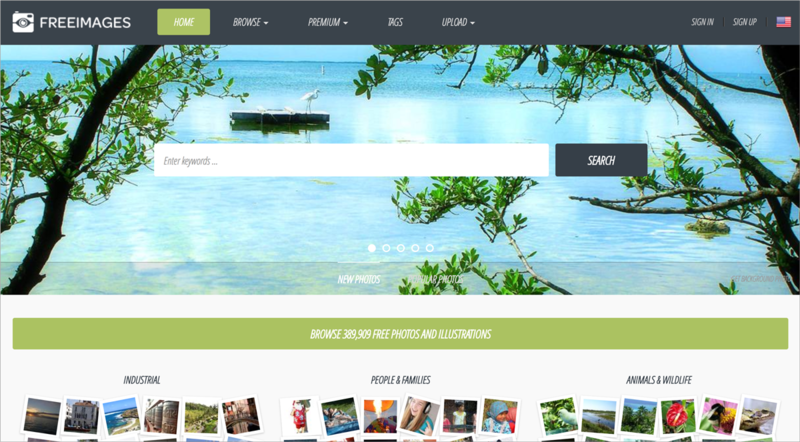 Images, including many travel-related photos from around the globe, are categorized by location and type, but users can also search the gallery. No membership or attribution necessary. Photographer Tom Eversly offers a free library of high-resolution photos. No membership or attribution required. The free gallery features images from around the web. The site is unique from others, however, because of its advanced search functionality. 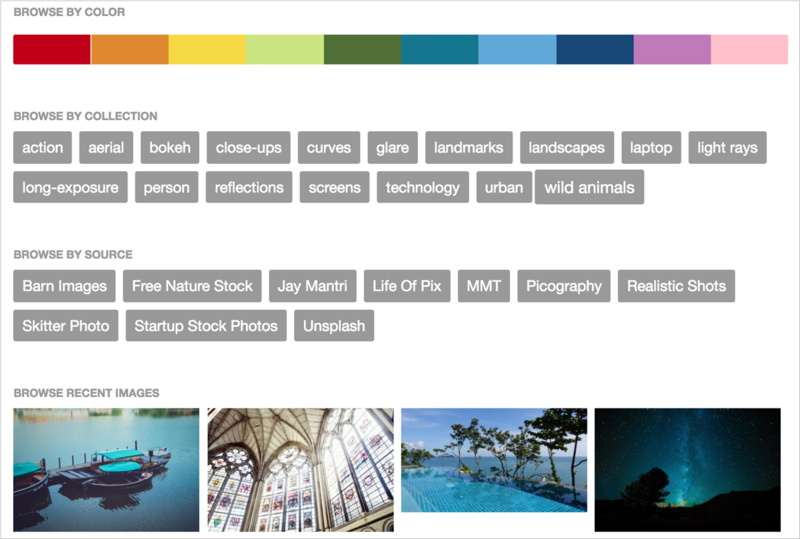 Users can search images by keyword, category, color or license. All images are free, but some require attribution. 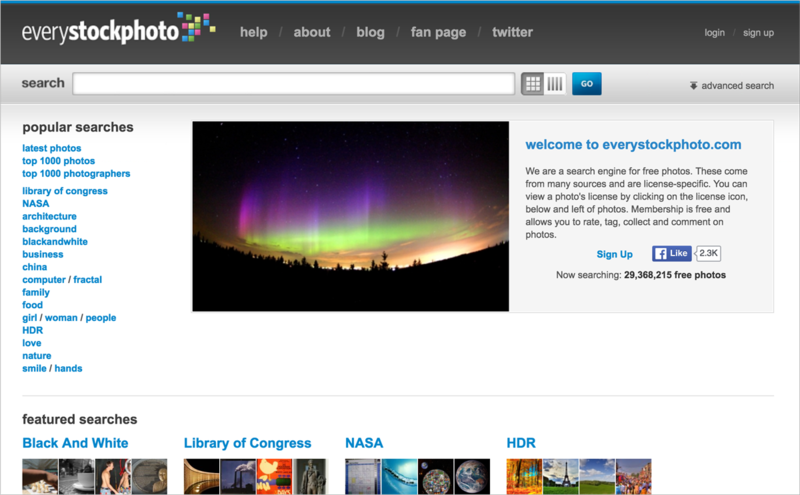 Photographer Jeffrey Betts has released his library to the public domain, so all images are free. The site specializes in high-resolution photos of nature, including eye-catching macro shots and is updated with new content weekly. Searching for stunning photos of the eastern world? 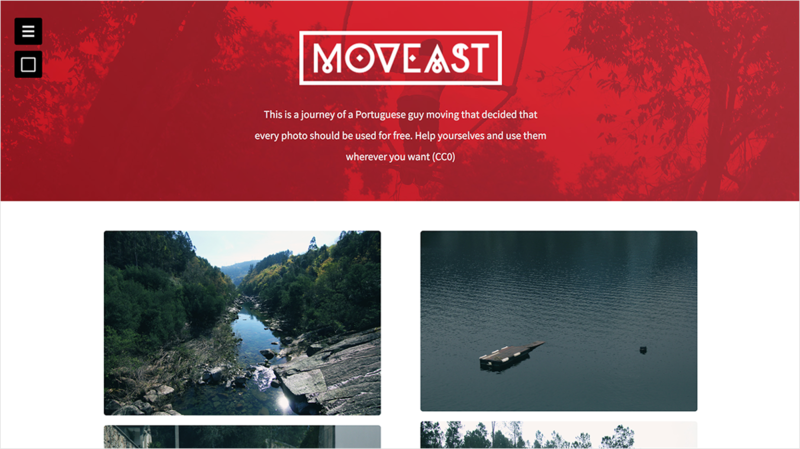 Moveast features a searchable library of free high-resolution images of India, Thailand, China and much more. No membership or attribution necessary. The Smithsonian Institute and its many world-famous museums have released a breathtaking collection of photos from their archives to the public via Flickr. The copyright-free high-resolution photos range from famous paintings, artifacts and inventions to everyday people and places. One of the highest-quality collections of free stock photos on the web, SplitShire offers thousands of professionally-shot photographs free for use in personal and commercial designs. While the original photos cannot be sold, any product created from them can be. This impressive photo library is comprised of images submitted by photographers and artists who’ve offered their work for free use. The thousands of images feature any subject, and the site even offers a large collections of free textures, including rock, wood, rust and dirt. Stock photos found on this website are free for any type of use other than redistribution. 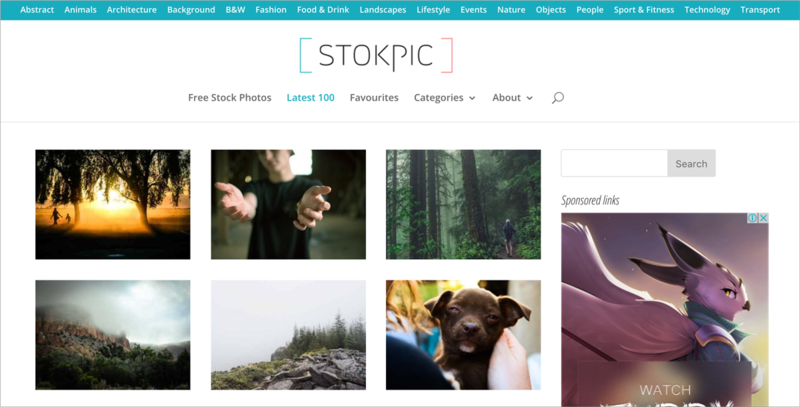 Photos featured by Stokpic cannot be found in any other collection, and the site offers a basic search functionality. 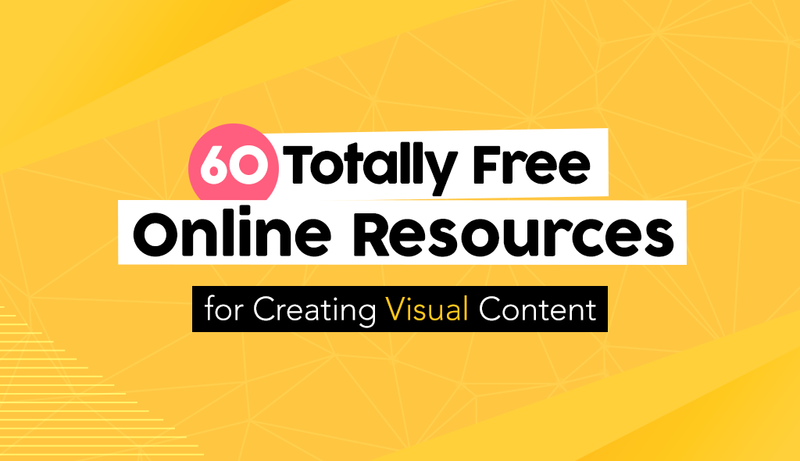 This simple yet powerful free tool for non-designers is one of the few on this list that provides everything you need to create all types of beautiful visual content in one place. Besides offering a vast database of searchable images, 6,000+ high-quality vector icons and hundreds of templates, this drag-and-drop DIY tool helps users translate their ideas into visual content, including presentations, infographics, charts, reports and social media images. It even allows users to create interactive maps and animated slideshows and product demos. 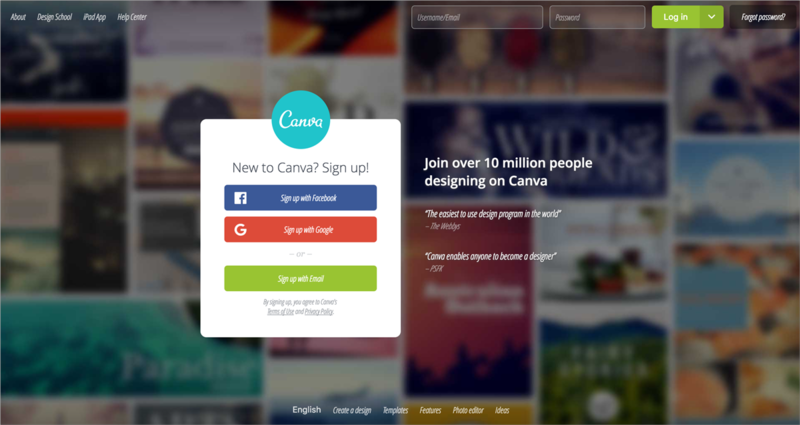 Bloggers regularly turn to Canva to create visual content. This free design resource allows users to search for images and modify them using a convenient drag-and-drop tool. You can read more about it here. 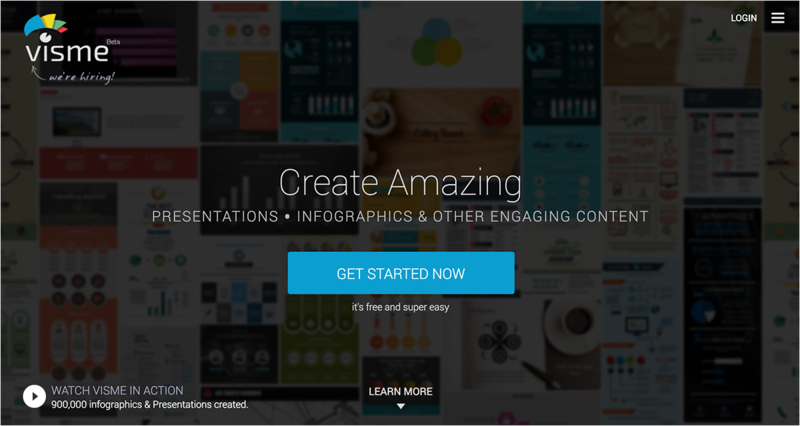 Create interactive infographics with this free online tool. Graphs, maps, text, videos and even social-sharing buttons can quickly and easily be added to one of six pre-made templates. You can read more about it here. Designers use PlaceIt for one specific reason: to add images of products and websites to photos of people holding tablets, phones and laptops. The tool creates eye-catching promotional images that would take a good deal more time and effort to design using typical photo editors. Adding texture to backgrounds and graphics can spice up otherwise dull visual content by adding depth and composition. 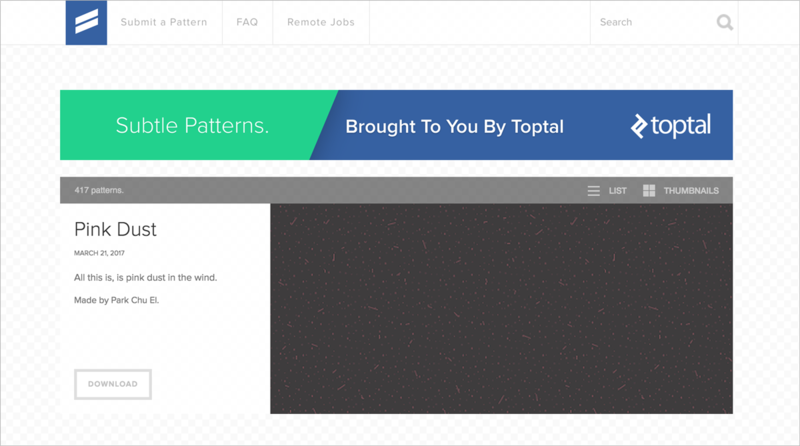 Check this site out to view and download hundreds of free patterns. 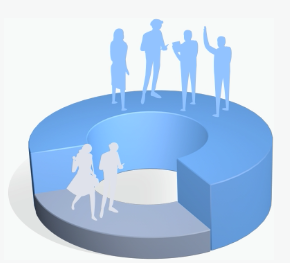 Use Chartgo to create basic bar, line and pie charts for use in blogs and infographics. 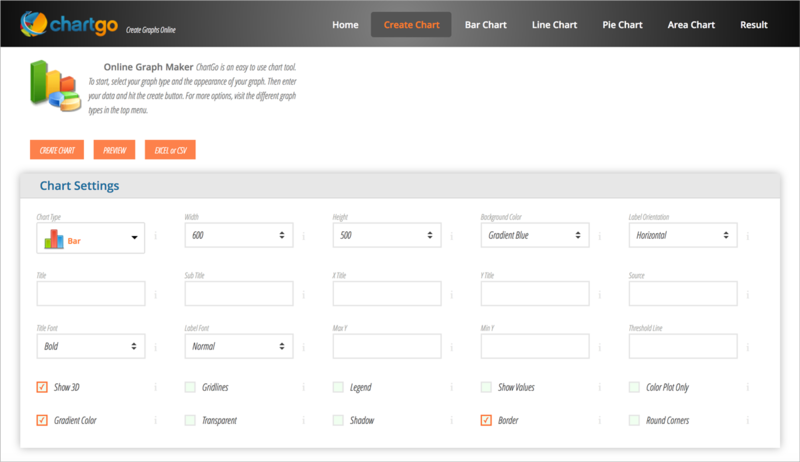 The site offers thousands of combinations of easy-to-enter chart settings to create one-of-a-kind samples of visual data. This free program can be downloaded to your computer for use as a paint program, a batch processing system or an expert photo retouching tool. 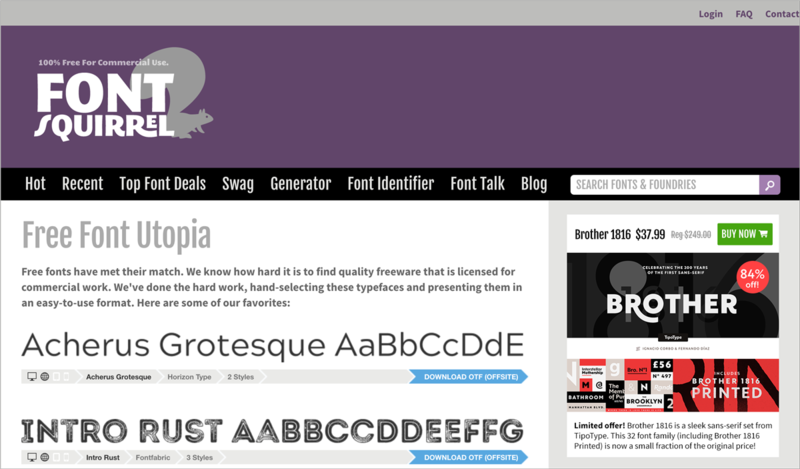 The site makes it simple to find the perfect font combination, offering multiple suggested pairings for any typeface selected. It also provides real-world examples of combos used on other websites. You can read more about it here. 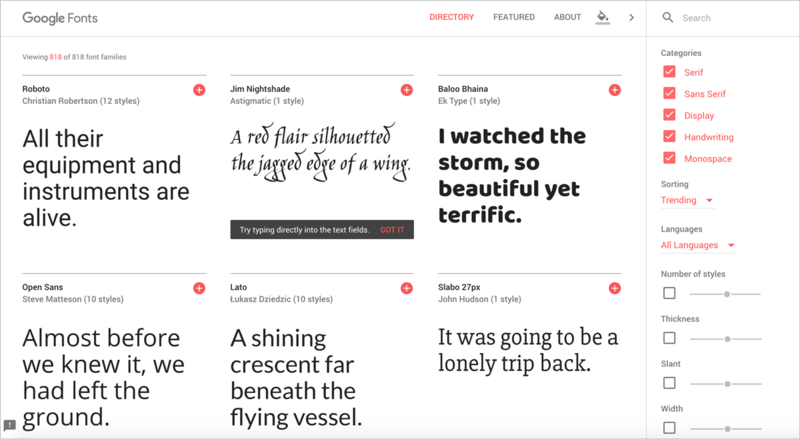 Google offers a directory of web fonts so users can easily locate and add any font within seconds. All fonts in the library are open source, so designers can modify them as they choose. This free design resource features an extensive library of high-quality fonts with clearly-defined licenses that are easy to download. 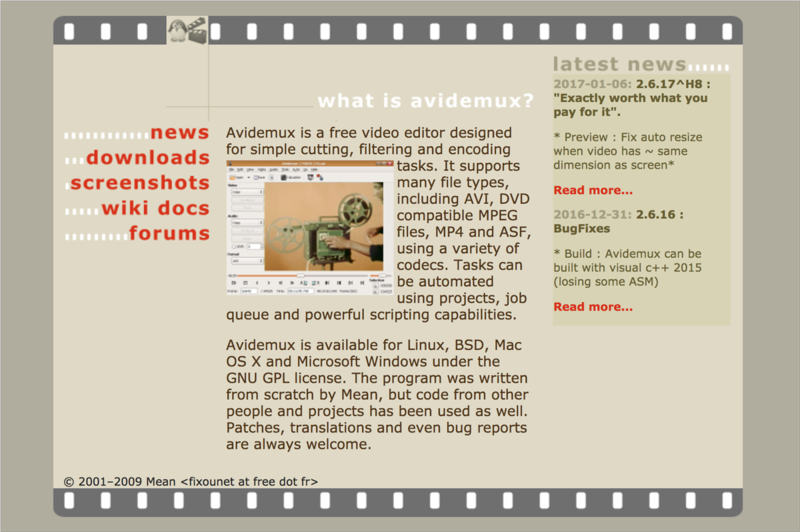 This free video editor allows users to perform basic tasks, including simple cutting, filtering and encoding. The high-performance video compositing and special-effects software is designed for easy and flexibility. Wax can create special effects in both 2D and 3D, and is available as a standalone application or a plug-in with other software. 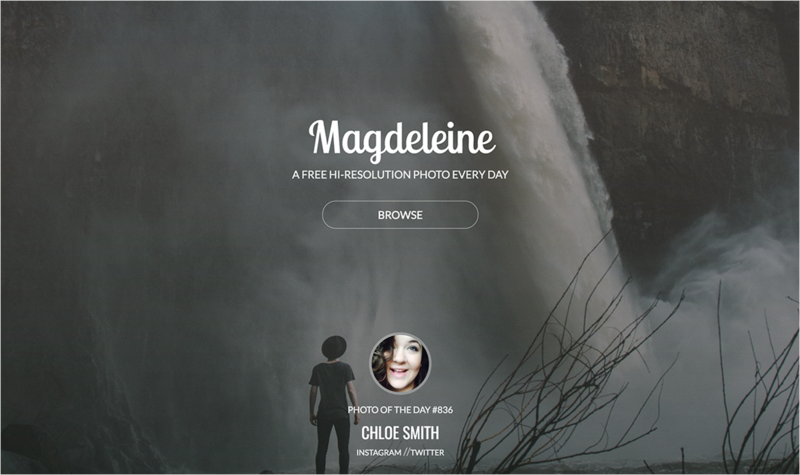 This free design resource features free photo filters that transform images into drawings. 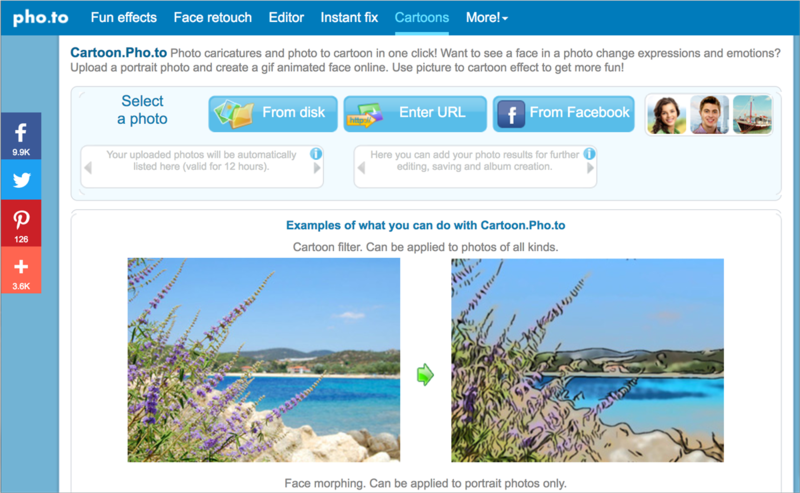 Users can even transform photos of people into caricatures to add a sense of humor to their content. This site allows users to re-color photos, add borders and text or even insert and layer graphics without downloading yet another program. The intuitive photo-editing process is quick and easy to use, and you won’t need to splurge on Photoshop. This free online program features three photo editors of varying complexity. 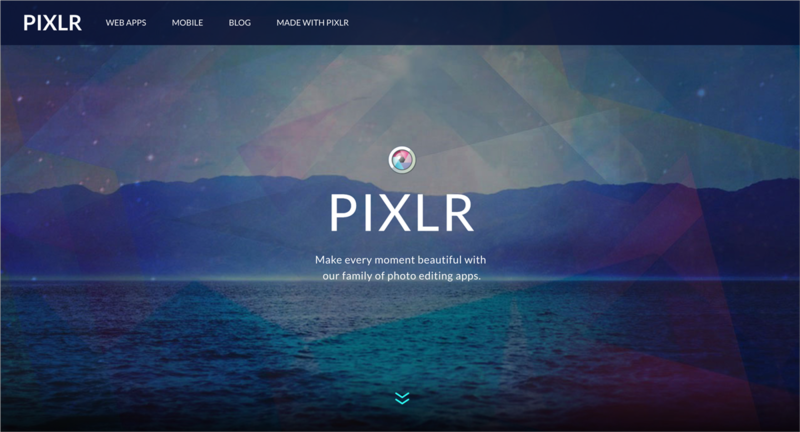 The Pixlr Editor is similar to Photoshop, Pixlr Express is perfect for quick fixes, and Pixler O-Matic features easy-to-use pre-made filters than can be applied to photos. This free photo editor offers a host of filters, including effects, graphics, frames and textures, all on an extremely simple-to-use interface. Users can even transform photos into cartoons. Unsure of your color palette? Coolors will instantly generate five coordinating colors. Not happy with the choice? Just hit the space bar to see an entirely new palette. Lock in a single color and the next group generated will match your choice. 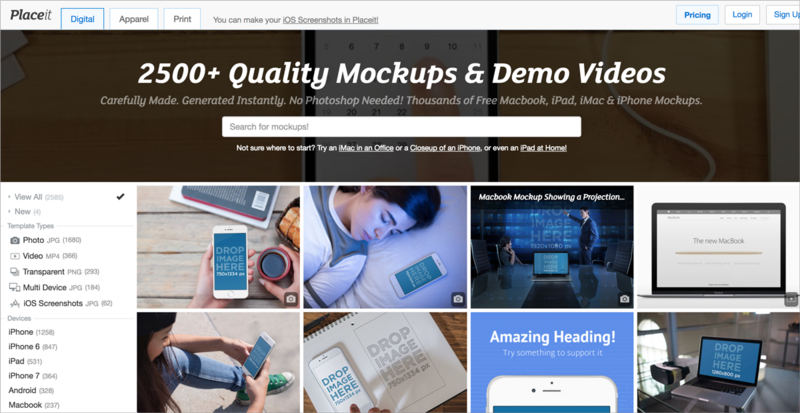 The Coolors web tool is completely free, while the iOS app can be downloaded for less than $1. Need help creating the perfect color scheme? Choose any color in the rainbow and Adobe Color CC will suggest color options to create monochromatic or analogous color schemes. Users can also select colors from a photo or browse popular color palette schemes. 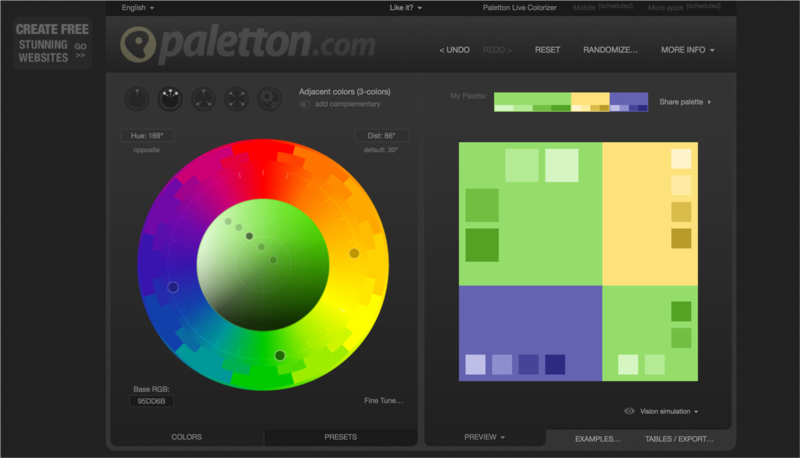 Similar to Adobe Kuler, Paletton allows designers to choose colors from a color wheel and select combinations such as monochromatic, adjacent, triad, tetrad and freestyle. The website also features extra shades of popular colors, and it displays sample web pages using selected colors. 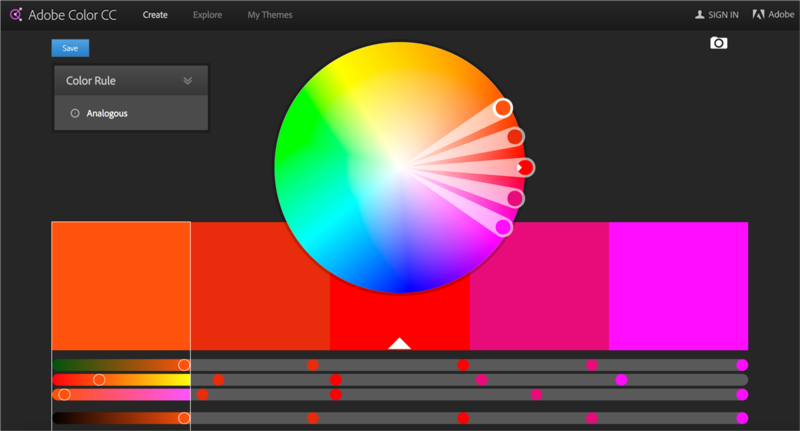 Users can even tweak options such as hue, saturation, brightness and contrast. Featuring an enormous library of free vector art, images and icons, Freepik boasts one of the largest collection of design resources online. The site offers free content for personal and commercial use, provided the user attributes the website or designer. This design resource tags blog entries as “freebies” when they feature free content, and posts offer all sorts of free icons designed for holidays, special events, fashion, business and many additional themes. 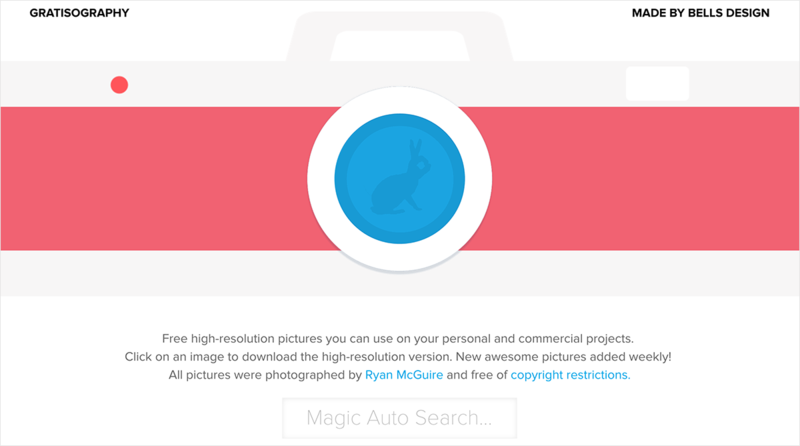 The site, created by the same group as Freepik, boasts one of the largest databases of free vector icons on the web. Icons can be converted to a downloadable font, and vector selection and saving are simple tasks. Attribution is required. With almost 200,000 free icons available to download, DeviantArt content is contributed to by a vibrant community of artists and designers. Attribution requirements vary by artist, so be sure to check each icon before it’s used. 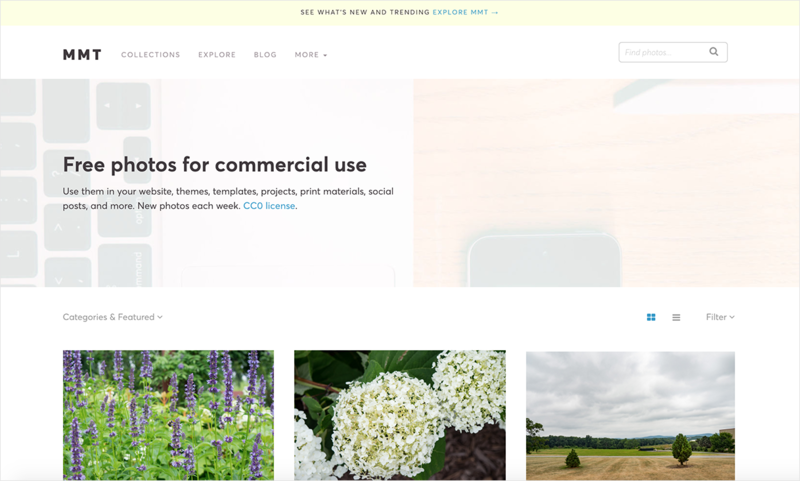 This blog features daily design tips to inspire readers. Tips include advice for traditional artists, web designers, illustrators and graphic designers, as well as 3D and VFX artists. Readers are exposed to the latest trends and developments in global design, typography, digital art and more. 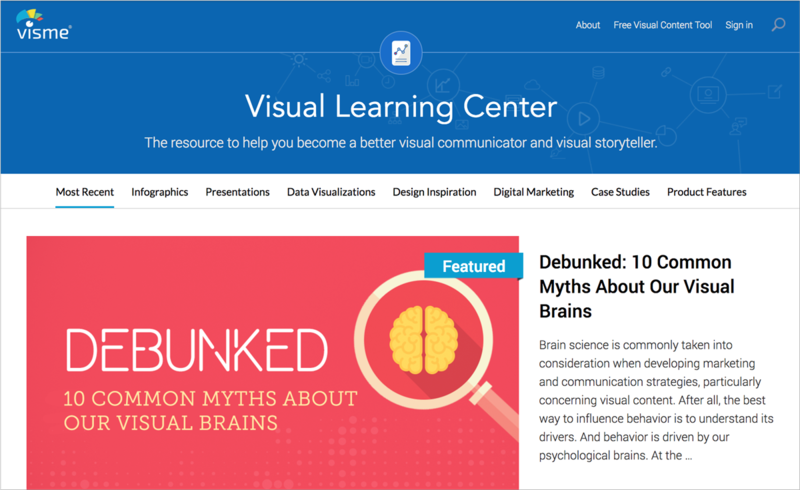 Visme’s Visual Learning Center is a treasure trove for non-designers seeking to empower their messages with visual content. The informative articles cover a host of topics related to visual storytelling, design and digital marketing. 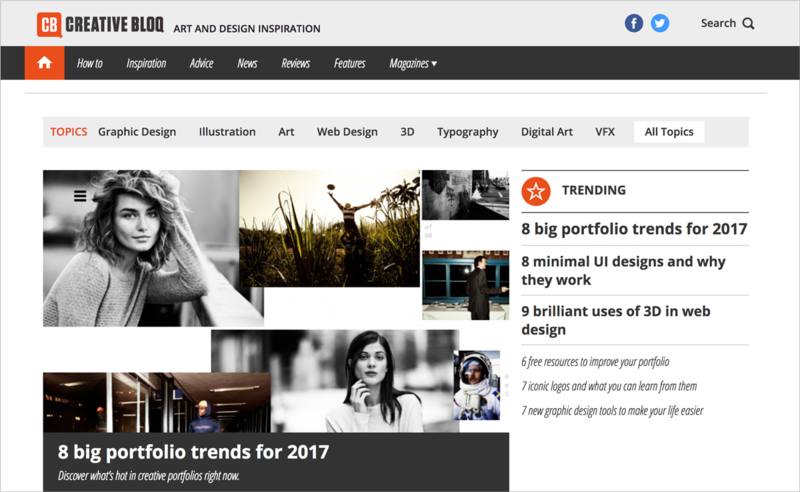 This content hub allows sharing of work and ideas among the global design community. Designers can post snapshots of their work to not only showcase their talents, but also inspire others. 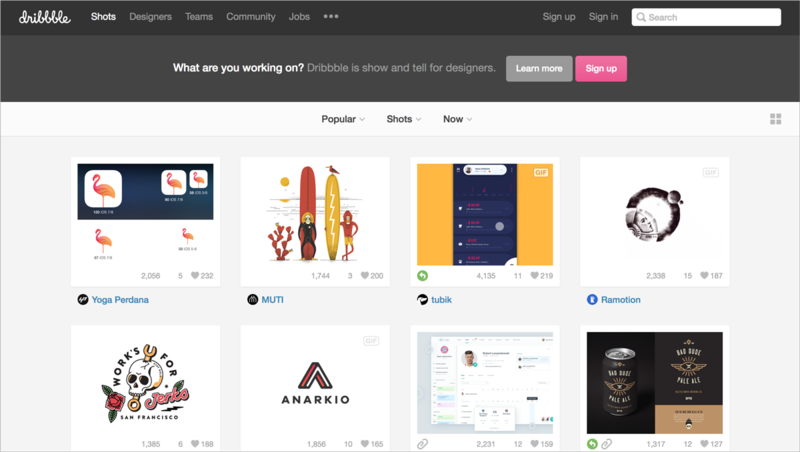 What’s your experience with these free design resources for non-designers? Did we miss one of your favorites? Tell us all about it in the comments below! Thanks, Tony! Glad you found it useful. So happy you enjoyed it, Modern. Love it! Thanks for putting this collection together. You are so welcome, Dan! Hope’ll find plenty of ways to benefit from it. Thanks, Dan. Glad you found it useful! You just made my life 10X easier. Thanks so much for the great content! Thanks for the positive feedback, Pat! It’s great to hear. Thanks, Pat! Glad you found it useful. Fabulous I love these resources !! Thanks, Emma! So glad you found it useful. Awesome ? information.Thanks for sharing ?. Thanks, Elijah! Glad you liked it. Thanks, Elijah! Glad you enjoyed it. Hope it comes in handy, Vinaykumar. 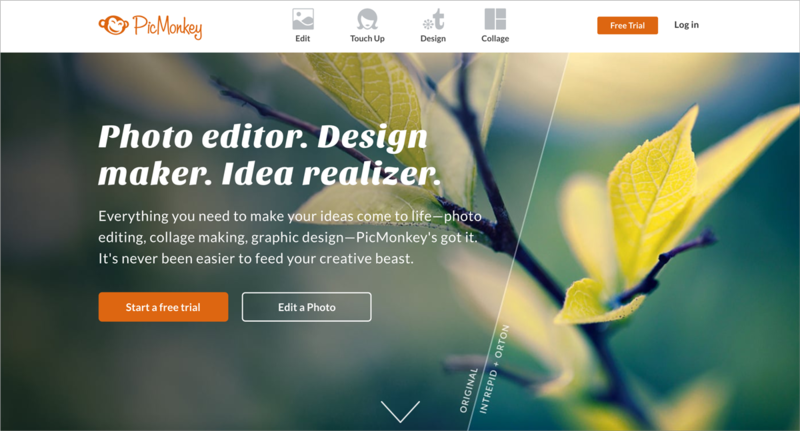 Befunky just added a paywall to some of their tools. Thanks for the correction Andrew. We’ll update this with this info. I’m very interested in translate this article, “60 Totally Free Design Resources for Non-Designers”, to spanish language. First of all, your audience would grow in size. Also, it’s a new way to come to your page, I think. To do so, I would like to have the source files, to do it in the best way possible. Thanks for the feedback and glad you enjoyed it, Carlos. Please feel free to translate this article and post on your site, as long as you properly attribute it to Visme with a link. Please send us a link to the final post so we can share with our audience. I’ve finally translated and published your article, in my blog, Datos a tutiplén. This list is fantastic but I am surprised that there isn’t a section of social media management platforms. Does anyone know of any good free ones? Thanks, Danielle. Off the top of my head, you can check out Buffer, Sprout Social and Hootsuite, to name a few. Great collection of resources. I use a few of them myself. One thing that could be added is a free GIF creator. But other than that very comprehensive. True, Brad. There must be some good, free GIF creators out there. Thanks, Caroline. Glad you found it useful. Happy designing! Thank you for sharing such an amazing, curated and useful content. Thank you kindly for sharing this amazing list of resources. You’re welcome, Dr. Sykes. Glad you found it useful. It‘s a great tool, and it is very useful for the company that doesn’t have a designer but wants to start they business, I am one of them, this is my website, How can I to improve the performance for user? Wow! Great collection. I’ve been using reshot.com, would love to hear your take! Wooow, that’s a huge list. I only worked with a few of them. Currently sticking with Pixteller.com as I can create static content and animated also. 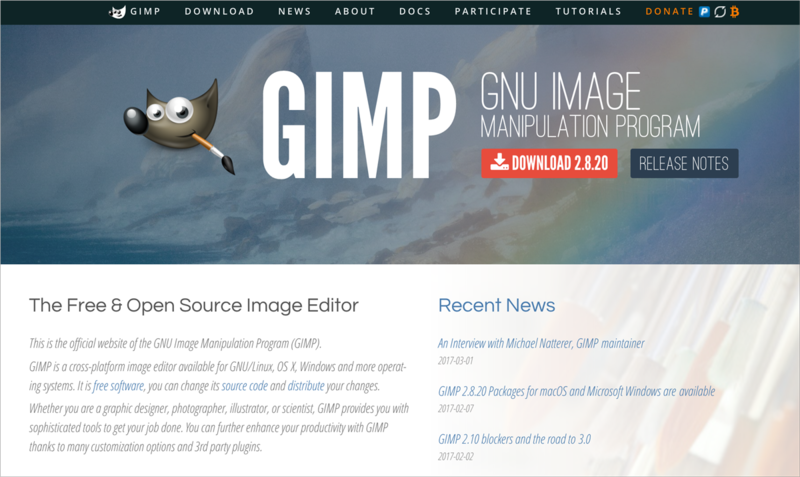 Very good tool, lots of resources included and a very good set of features. Have a look, maybe it will make it in your list. Thanks for the feedback. Have you tried Visme?